My copy is over 40 years old… and is a bit battered. I still have my old beat up copy of Mein Allerschoenstes Woerterbuch by Richard Scarry (My Best Word Book). This Richard Scarry Dictionary has seen some loving in its time. Now, it’s hard to get excited about a dictionary. Most of them are thick, filled with lots of words that I can’t spell, so it’s impossible to look them up. Frankly, although I always have one on my desk, it’s more to hold down loose papers in front of the open window, than to actually be used for its intended purpose. 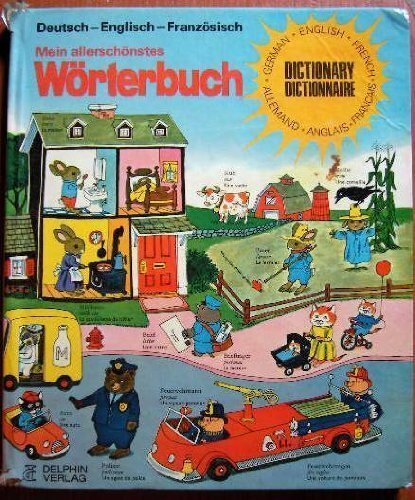 On the other hand, my first dictionary, Mein Allerschoenstes Wörterbuch, (My Best Wordbook) illustrated by Richard Scarry was worthy of attention. I must have pored over the pages a 1000 times when I was a child, looking for my favorite characters…Lowly Worm, Huckle the Cat, and all the little mice families. The concept is simple. Each page has theme. Zoo, Grocery Store, City…. And each drawing has the German word AND the English word beneath it. 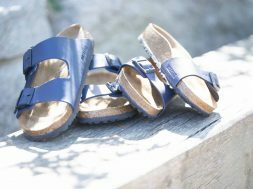 (Perfect for a bi-lingual child) A few short sentences tell about the page… but also pose a question to get kids looking hard. For example, on the Boat and Ship page, the book asks…”what swims on the water, but isn’t a fish? (In this way, it’s a bit like Where’s Waldo… you have to find the image that fits the question). Not all pictures are objects or nouns. Some pages show action words, things we do, and some pages have color. There are even pages for basics, like the Alphabet, and Numbers. As an adult, it occurs to me that this is a very strange image…. I used to think that Richard Scarry must be German; why else would he create German word books? Some editions of Mein Allerschoestes Worterbuch have English, German and French). But actually, he was an American illustrator, who moved to Switzerland in the early 1970’s. His many children’s books have sold over 100 Million copies, in multiple languages worldwide. The times may have changed the Allerschoenstes Worterbuch a bit. As times changed, and social values adjust, the book may not have “Cowboys and Indians” anymore (It’s my understanding that the publishers and the Scarry family wanted to make the books as non-controversial as possible. 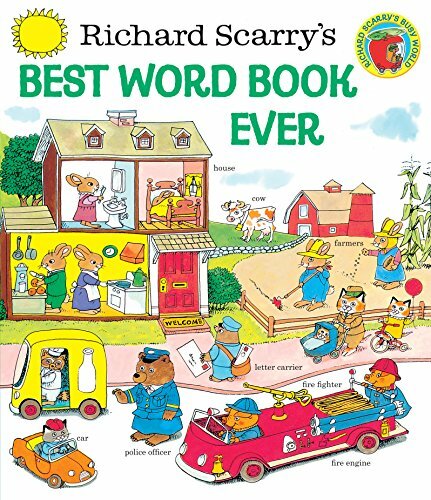 )… but they still have the Richard Scarry magic that draws kids in, and makes them love to read a dictionary. The city page was fascinating for a suburban kid like me. I still have some of the books from my childhood (way back in the late 40 ‘ s through early 50’s). Among them are books like the fieble (children’s reader), Mecki (detailing his adventures in Schlaraffeland…. a land of milk and honey) and a storybook named Purzel. Treasures, one and all. Yes.. I treasure mine !